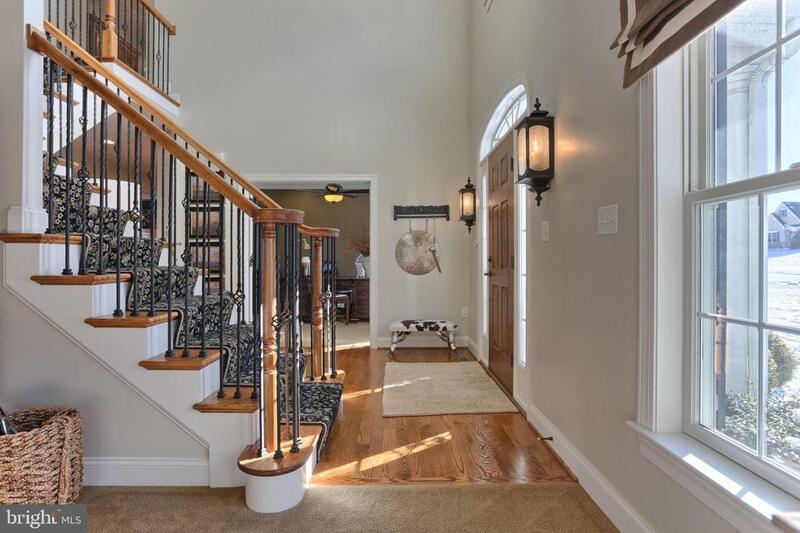 Custom home with professionally designed interior in the Shadow Creek neighborhood. 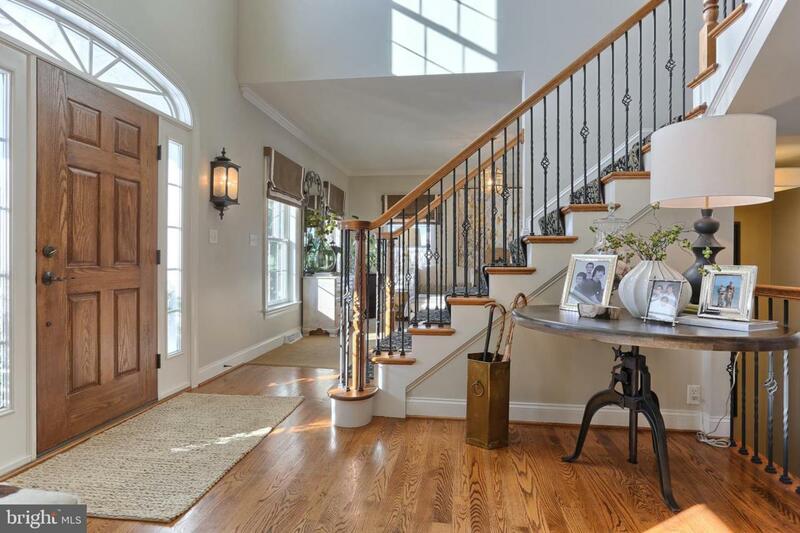 Enter the oversized foyer with wood flooring, exquisite lighting, and wrought iron railings. Office with French doors, crown molding, recessed lighting, and custom window treatments. The fashionable living room has crown molding and accent pillars opens to the dining room with hardwood flooring, crown molding, wainscoting, custom wall treatments and elegant silk window coverings. A large, striking kitchen with eat in dining area boasts granite counter tops, tile back splash, crank out window, large island with drum lighting, upgraded cabinetry, stainless appliances, and a large pantry with etched glass pocket door. 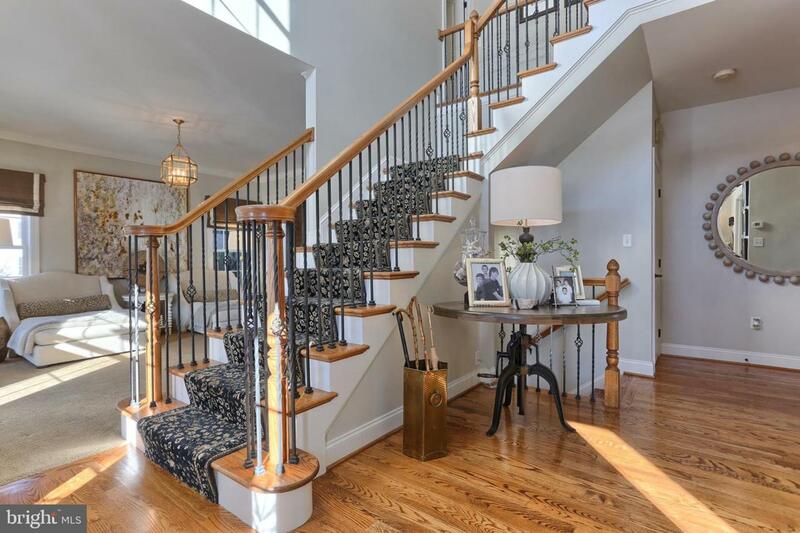 Dramatic two story family room with gas fireplace, custom hearth, crank out windows and second stair way. A gallery hall leads to an ornate powder room with pocket door, crown molding, raised hand painted vanity, and custom wood ceiling. Next, a mudroom with built in cubbies, hard wood flooring and wainscoting. The second level has so much more to offer: Wide hall with wainscoting, convenient laundry room with pocket door & raised utility sink. 3 bedrooms with ceiling fans and plenty of closest space. A shared bath with double sinks, pocket door, built in shelving and separated shower/toilet area. Master suite with tray ceiling & crown molding. The master bath had raised his & hers vanities, soaking tub, tiled walk in shower and separate toilet area and large walk-in closet. 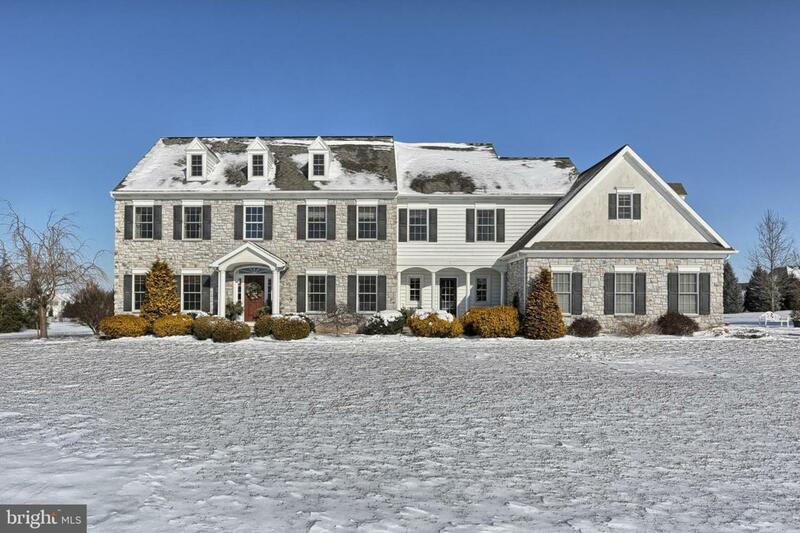 The exceptional 5th bedroom/bonus room has vaulted ceilings, 3 dormers and plenty of uses...media room, game room, man cave, or office...Lower Level of the home has a cozy game/family room. Need additional bath? LL has roughed in plumbing and plenty of additional space for finishing. There is further SQ for storage and utility area. Enjoy warm weather entertaining with a custom 54x15 covered porch, pavers patio, and heated 16x32 concrete/tile pool. Surrounded by plenty of area for lounging and out door activities. This home also boasts a side entrance 3 car garage, fenced rear yard, radon mitigation system, new HVAC systems with humidifier, whole home sound system, hard wired fire/security, bilco door, wooden blinds throughout and so many other features.